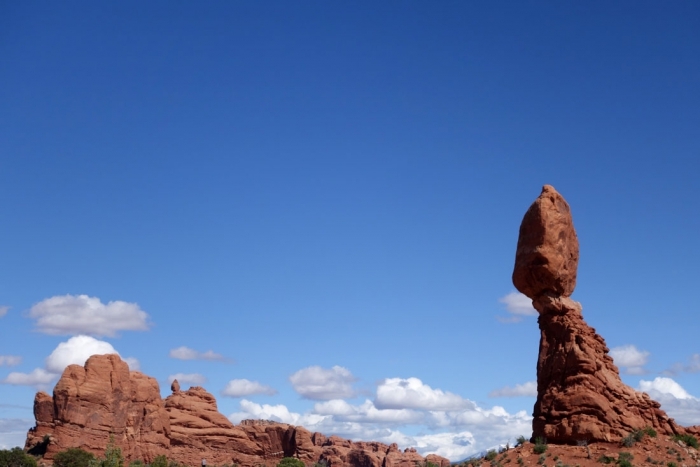 The last park that we intended to visit on our quick journey around Utah was the Arches National Park which is in the top left hand corner of the state. 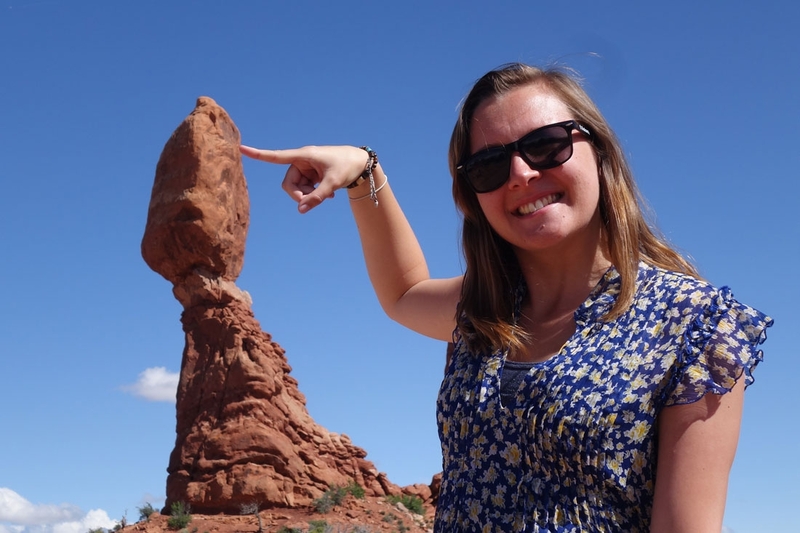 It was the one that I had actually heard of before starting the road trip and so was quite excited to check out all the arches in real life. 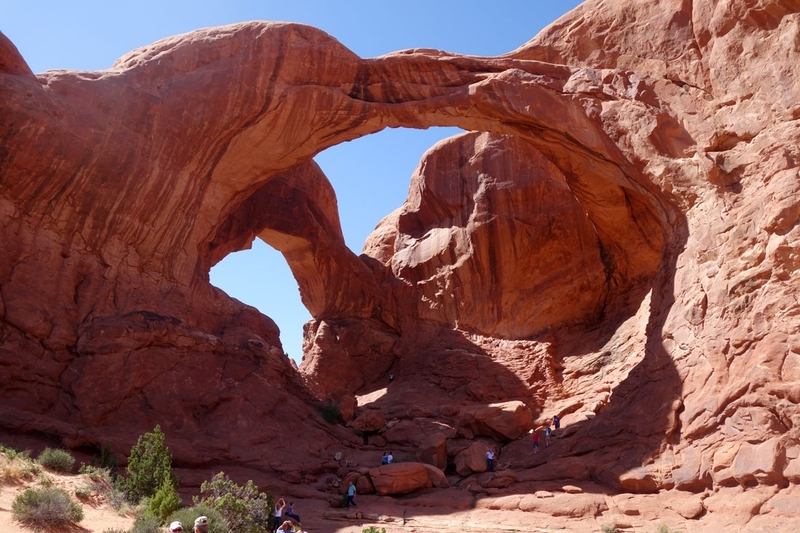 This was our first port of call and the trail actually takes you to several different arches with Landscape Arch probably being the most well known of them. 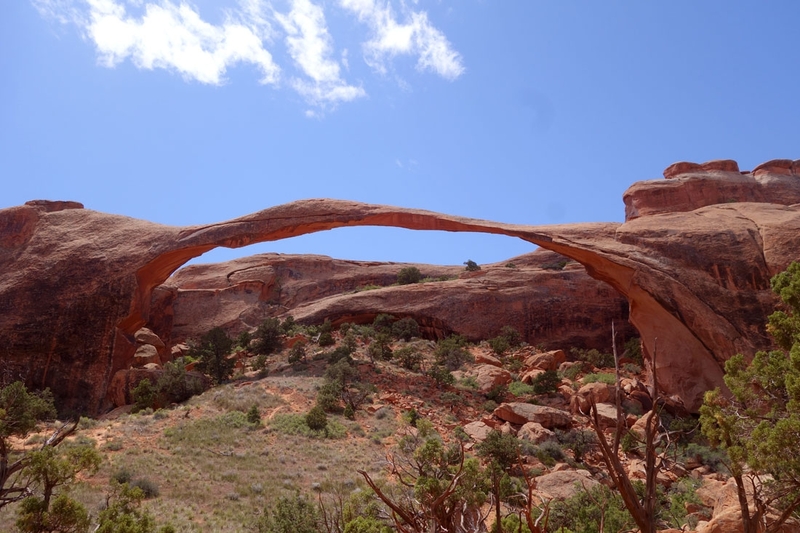 Before reaching it, we took a side trail off for about 15 minutes to check out Tunnel arch and Pine arch. 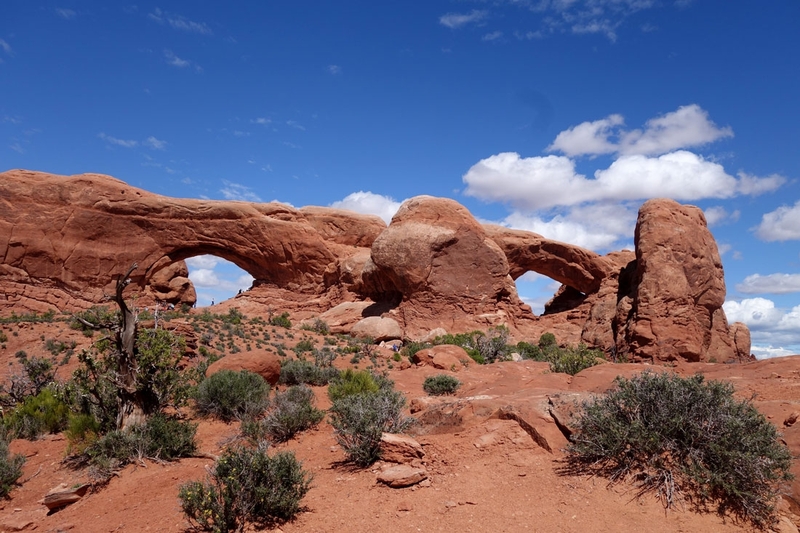 We then headed on down the trail to Landscape arch, and it really is astounding how it is still standing.It is the widest of the arches in the park and over time the roof has become thinner and thinner, making you feel like it is about to collapse any minute. 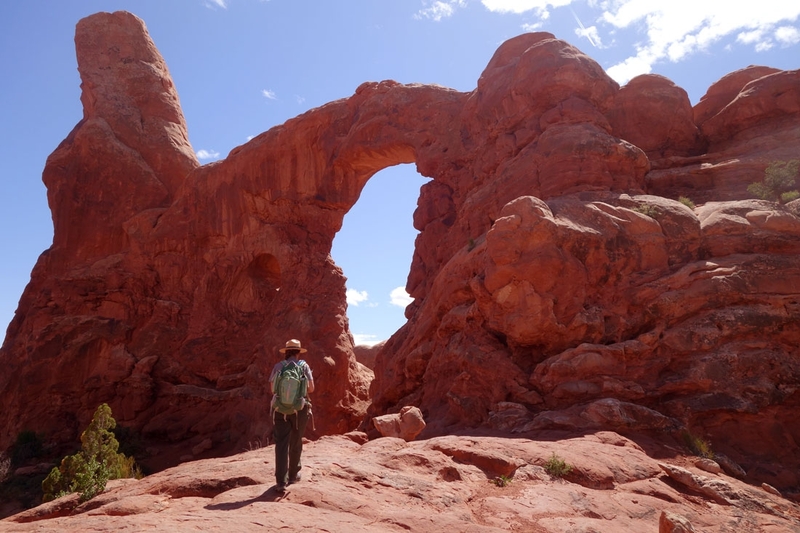 You can continue past this arch on a primitive trail for another couple of miles but as we had lots more arches to see, we just did a little bit of climbing to get a good view and then headed back to the car. This is supposed to be the most famous arch in the park but we were a tad disappointed. 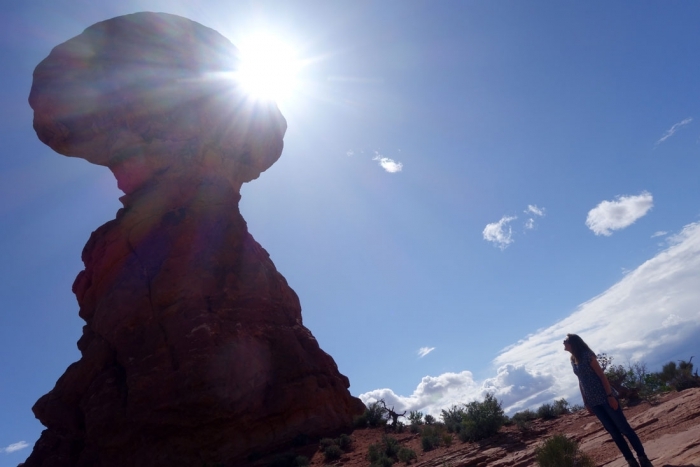 Before arriving in the park we checked the national parks website and one of their alerts was that the trail up to Delicate Arch was flooded and impassable. Because of this we just went to the viewpoints for the arch which are really quite far away (even the upper viewpoint which is a pretty gruelling 15 minute walk up a steep trail). At the viewpoint however we could de little people walking around beside the arch which meant that the trail was open! This is quite a long hike though so by this point we didn't have enough time left for it. It was a lesson however to double check the information online with a ranger when you get to the park. 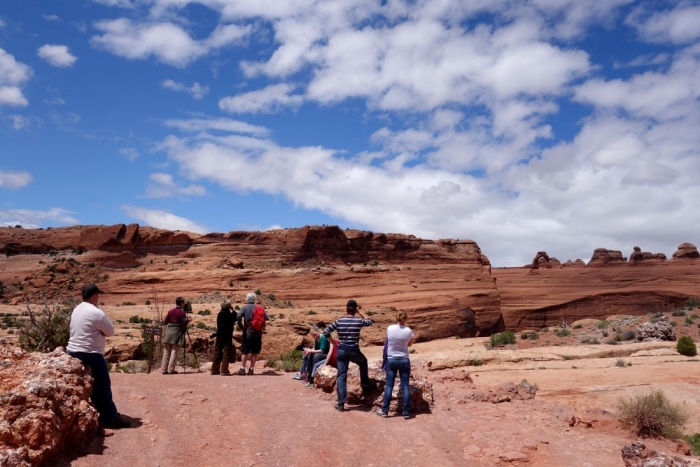 When we arrived to see these two arches we stumbled upon the start of a free guided ranger walk. 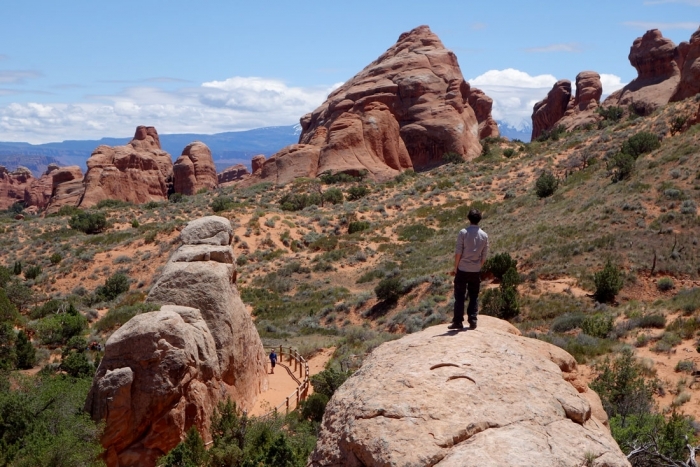 This was really excellent, explaining the history and geology of the Arches National Park in the context of these particular arches. I would recommend checking out the free activities if you ever visit because some can be definitely worth the time! On this walk we also saw Turret Arch, one that we weren't actively planning to see but it was also a pretty great arch. This walking trail is opposite the one for the Windows, off the same car park. We didn't walk the whole way up to it as it was getting late but got close enough to take some pictures. 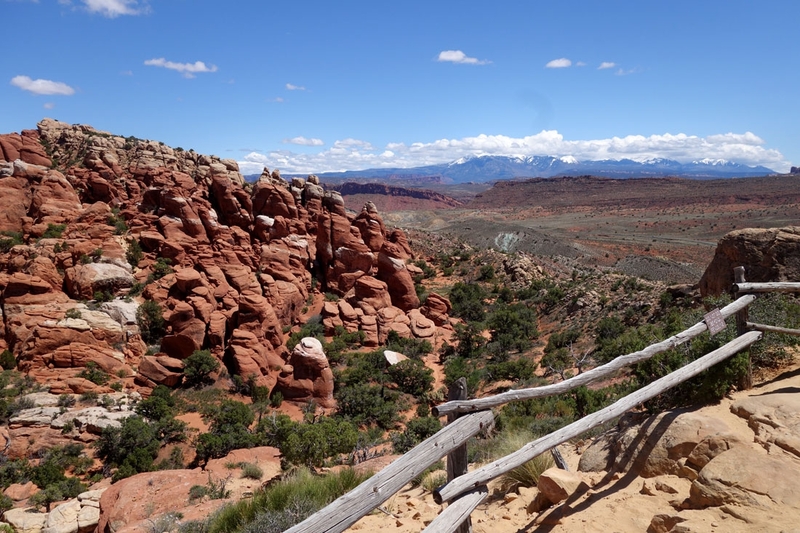 The trail is mostly flat on a sandy path and only takes about 15 minutes to check another arch of your list. From far away this looks pretty cool but nothing spectacular. When you walk the trail around it you can fully appreciate it's scale however and marvel at how it hasn't yet collapsed. We had some fun messing around with perspective shots and again this is an easy trail to see something a bit different and get some good photos. We also stopped at a couple of the viewpoints: Fiery Furnace and Park Avenue. 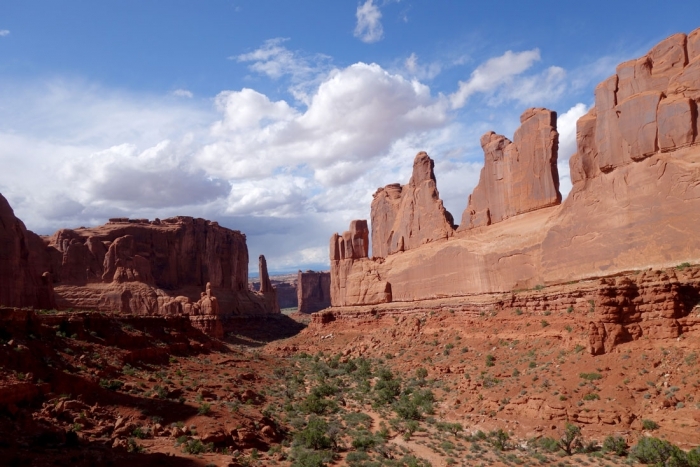 These offered some different rock formations to the arches that we had been looking at all day and for just a quick pull off the road didn't take too much effort to add some variety to the day.